What a welcome return this is! An album that’s long-been one of my favourites – only right to name check the brilliance of Doc McKinney on production who created magic with Res and songwriter, Santi White (Santigold). But anyway, back to our subject at hand: not your conventional Philly songstress, Res’s debut album saw her comfortably merging styles and genres until we were left with something distinctly Res. 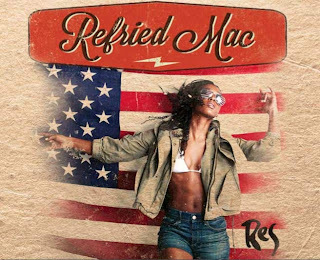 Thankfully, even after all this time, her new project, ‘Refried Mac’, has managed to do it again. A digital EP comprising of five Fleetwood Mac covers – hence the name, Refried Mac (...get it? ), this is a great project to reintroduce her to the masses and hopefully swiftly have followed with a full-length album soon enough. Going for the absurdly cheap price of £3.45 on Amazon, be sure to grab a copy!